Handful of watercress leaves, microgreens, or sprouts. Blend the lemongrass, garlic, shallots, coriander seeds, turmeric, liquid aminos, lime juice, tamarind water, and coconut oil and milk into a smooth paste. Marinate the fish for 2 hours or overnight. Line a baking sheet with tin foil and broil on "HI" for 12-15 minutes, depending on the thickness of your fish, turning them once. 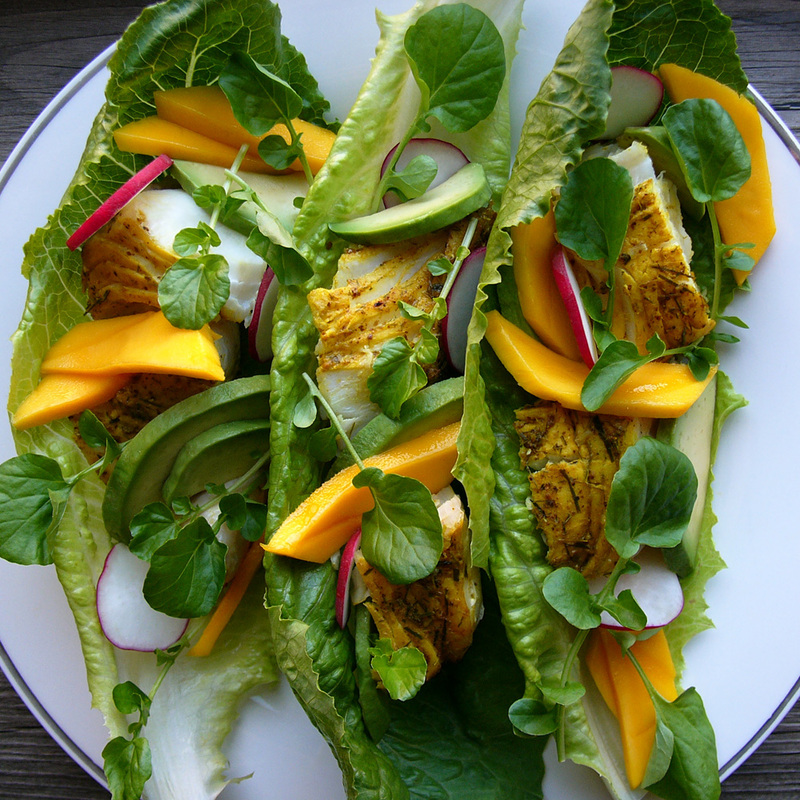 Wrap with your favourite leaves and add the mango and radish slices and leaves.